This "Historically Speaking" column was published in the Exeter News-Letter on Friday, January 19, 2018. In 2002, the National Park Service published a study entitled, “Patriots of Color: African Americans and Native Americans at Battle road and Bunker Hill” prepared by George Quintal Jr. 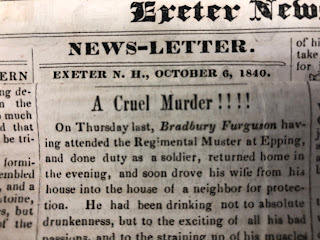 The comprehensive work sifts through muster and pension records and went as far as to follow-up the dry data with local input from places like the Exeter Historical Society. 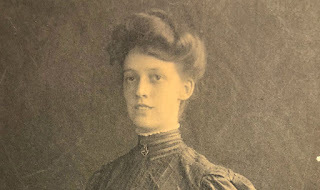 Our director of collections at that time was Nancy Merrill, who was happy to share information regarding Jude Hall, a former slave who served throughout the war in exchange for freedom. As she looked for local information on Hall, Nancy began compiling information on the African American population of Exeter in the post-Revolutionary years and was astonished to discover that quite a few Black war veterans had settled in town. Exeter, in earlier times, was more racially diverse than it is today. It should not surprise us that there were Revolutionary War veterans among those families in town. There were some good incentives to joining the army. Enslaved men would earn their freedom by fighting – although it sometimes took some negotiation to convince their masters to agree. Once enlisted, Black soldiers earned the same pay as white soldiers and were later granted the same pension payments. Units were not segregated. The National Park Service study found that, “the overwhelming majority of African Americans in New England stood side-by-side with masters, former masters and fellow townsmen in supporting the Patriot cause.” It’s estimated that 7% of the American fighting force at the Battle of Monmouth were men of color. After the war, Exeter and Portsmouth both experienced an influx of Black veterans. They came to town wanting to start over in a place away from their old masters. Tobias Cutler was from Rindge, Oxford Tash was from Newmarket, Cato Fiske was from Epping. Most simply wanted to settle down, raise families and live their lives. David Dixon, who published “Freedom Earned, Equality Denied: The Free Black Community of Exeter, New Hampshire,” theorizes that “Exeter may have become a magnet for groups of black Revolutionary War veterans because of its abundance of educational opportunities.” Exeter’s schools were open to people of any race – partially because it was impractical to create a segregated system. The children of the war generation were able to take advantage of basic educational opportunities. In spite of this, most of the veteran families still languished in poverty. A soldier’s pension didn’t stretch very far and most of the men had work skills that centered around farming and manual labor. Their children, if they prospered, found limited opportunities for work in Exeter and most moved on to larger population centers such as Boston or New York. Jude Hall’s story is particularly tragic. He settled near the Kensington line, married into the educated Paul family and raised a large family. Always living on the edge of poverty, he was respected by the community nonetheless. But he wasn’t able to fully protect his family from the savagery of the slave system in the country. Three of his sons – all born as free people – were kidnapped into slavery. Only one was able to escape. Prince Light had enlisted in 1776. Most of our accounts of Exeter’s early Black community come to us through nostalgic reminiscences of elderly white townsfolk. Primarily written in the second half of the nineteenth century when the Black population of Exeter was waning, the sources have an uncomfortable quality to them – as if the men and women they speak of are characters out of a storybook. The valor of their service seems to be questioned. Here is an account of Prince Light written by “L” and quoted in a “Rockingham Rambles” column in the Exeter News-Letter in 1941: “this Prince Light was probably a servant of Captain Robert Light of the Revolutionary Army. At any rate, Prince was in the army; for I have heard him say that he witnessed the execution of Major Andre. Prince said (to use his own words) that when Major Andre went up the gallows ‘his boots shone like a glass bottle.’” Of course he said that. Job opportunities for Black men leaned toward farming, barber or bootblack. Of all the times “L” encountered Prince Light, the only conversation he put to paper was one about a white man’s shoes. Another account by a similarly unknown author, describes the annual march organized by Exeter’s Black veterans: “They kept up that organization for several years parading annually on the day of their emancipation. They dressed in second-hand uniforms borrowed of those who had no further use for them.” Second-class men parading in second-hand uniforms. This is how they are remembered by the white population. The children of the Revolutionary war generation found it difficult to find work. If they remained in Exeter, their prospects were limited. With the exception of the Cutler family, who prospered as independent businessmen, most found that jobs were hard to find. Caesar Wallace enlisted in the Continental Army in 1777, but his grandson, Freeman Wallace, spent years of his childhood living in the county poor house. Freeman served in the navy during the Civil War, but on his return to Exeter was only able to work as a laborer for the remainder of his life. His obituary, in 1916, says of “he was a genial, worthy man, highly esteemed by fellow veterans and other friends.” It also mentions that “his task of recent years having been to keep the streets and sidewalks free of paper. With his basket and spiked stick he attracted the attention of strangers.” A photo appeared in the News-Letter in October of 1907 showing Freeman with his basket. From this we can deduce that Freeman Wallace, Union veteran, grandson of Caesar Wallace, Revolutionary War veteran, spent the last decade of his life picking trash off the streets. 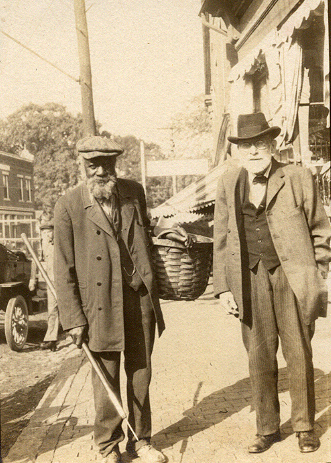 Image: Freeman Wallace pauses from his work collecting litter to pose for a photo with Charles Folsom in 1914.